Managing Real Estate Owned (REOs) properties is a specialized field in which MPI Property Management, LLC has a well documented track record of serving Lenders, Banks and Credit Unions, as well as Private Investors. We represent banks, mortgage lenders and investors with REO properties, from acquisition at sheriff sale to the closing table when property is transferred to a Buyer. 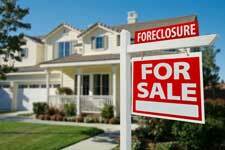 MPI Property Management, LLC manages REO (foreclosed) properties in Milwaukee, Waukesha, Racine & Kenosha Counties. MPI Property Management, LLC works to insure your REO property remains in the best condition possible for sale or rental. This will make sure you are able to get better purchase offers and reduce the time your property is on the market. We work with our portfolio of investors and help get your property sold quicky. Our REO specialists focus on getting your property on the market in marketable condition as soon as possible after foreclosure, sale or an eviction. Then, we manage the process all the way through from constrction and rehab to rental or to the completed sales transaction. Rent residential properties when in the best interest of the private or institutional owner. Maintaining and selling REO properties can be difficult and at times, burdensome. MPI Property Management, LLC can help make the process easier for your REO department.